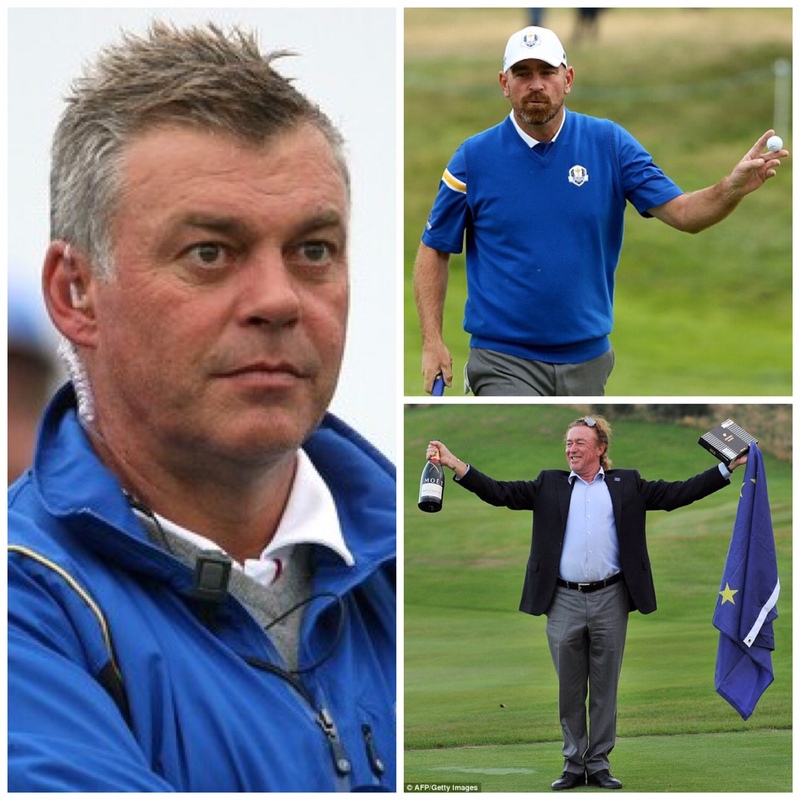 UPDATE – Darren Clarke was named 2016 European Ryder cup Captain on 20th February 2015. David Howell was selected last week by the Tournament Players’ Committee to join the European Tour’s Chief Executive George O’Grady and the last three Past Captain’s Colin Montgomerie, José-María Olazábel, and Paul McGinley on the five man 2016 European Ryder Cup Captain selection panel. This group will now consider Thomas Bjørn, Darren Clarke or Miguel Ángel Jiménez for the Hazeltine captaincy. It is unlikely anyone else will be given much thought. Jiménez is clearly a very good golfer and his ability to remain competitive into his 50s is most impressive. I also understand the muted calls for a mainland European captain given their contribution to the event over the last 25 years. However, in the case of Miguel his English is simply not good enough to take on a role where both team and media communication is hugely important. Olazábel struggled with this too and many players believe Europe were lucky to get away with a win at Medinah. He is also perhaps too old now – he will probably be full time on the US Seniors Tour shortly and increasingly detached from the players he must select and manage. Yes he will always be able to raise a smile with his cigars and exercise regimes but the Ryder Cup is now much bigger than that. Bjørn and Clarke have more Ryder Cup experience and both are good communicators. They have both played on many occasions and also been Assistant Captains. I am sure they would both make good Captains. My only concern with both of them is that they always strike me as having an ‘edge’, i.e. being one drink or mis-placed word away from saying something they should not or even throwing a punch. You can see it in their eyes. Clarke demonstrated this with his tactless comments on Gleneagles a few years ago. Will they have the diplomacy to be able to cope with the glare of publicity that now comes with the Ryder Cup or if things get difficult during the run up to or worst still during the event. I believe it is now inevitable that Clarke will be selected for Hazeltine in 2016. I also wouldn’t be surprised if Bjørn gets the early nod, perhaps informally, for Le Golf National in Paris 2018. The problem for Bjørn maybe that by the time 2018 comes around the calls for both Harrington and Westwood to be considered will have started. I think there will be a few bumps along the way with Clarke (and Bjørn if he gets it) and I will be surprised if he / either gives us the smooth ride that McGinley has taken us on at Gleneagles. It will certainly not be an easy task to follow McGinley who, to his credit, made the pressurised world of Ryder Cup captaincy look most straight-forward. When the Howell appointment news broke I tweeted that it was a shame that he hadn’t been invited to be the Captain as in my opinion he would most probably make a better job of it than the three leading candidates. I still believe this. I have a lot of time for Mr. Howell. I don’t know him but I have observed him at professional tournaments and more recently admired his Sky Sports assessments and commentaries. He is clearly very well liked, calm, intelligent and knowledgeable. In many ways very much in the Paul McGinley mould. Another person who has the potential to be a future Ryder Cup Captain – but probably will fall victim to the limited number of opportunities – is Andrew Coltart. He has recently done well with the Palmer Cup Team in amateur golf and like Howell talks well on Sky. Having met him I can also vouch for the fact that he is a very different person from the dour Scotsman impression he gave when striding the fairways himself. It may also be helpful that he is the brother-in-law of Lee Westwood. I hope whoever is appointed in 2016 definitely uses Howell as an Assistant and also considers Coltart – no doubt alongside Padraig Harrington, who is a nailed on future Captain – in both 2016 and 2018. They could do a lot worse than start with these three.